Longitudinally shifting platforms create additional parking space in driving lanes. The platforms run on rails crosswise in front of the conventional places and offer independent use of all spaces. Occupied platforms are simply moved aside at the operation panel; empty ones can easily be driven over. Client has to enter in to AMC (Annual maintains contract ) at the time of placing order, we do quarterly servicing of the parking systems. We advise to get your parking systems serviced by Wohr Company officials and not from unauthorized agencies. 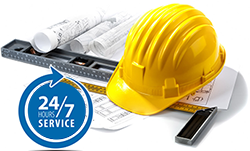 We have qualified technical team which provides service. Please strictly follow Do’s and Don’ts Instructions during Operation & Maintenance of Car parking System. Emergancy Contact No : 18002678848. Please write to service@wohrparking.in . © 2019 wohr Parking System Pvt. Ltd. All Rights Reserved.